So many digital images do not get printed, it's such a shame. More and more couples choose not to have wedding albums printed or even have photographic prints. I strongly recommend that clients get at least 30 - 50 prints done of their wedding photography. You don't have to get them print through me as I provide the printable images to clients. It's inexpensive and printed images will last a lifetime, they can be passed down through generations like the generations before us did. Who knows how you will be able to read CD's, DVD's and USB Sticks in the future ! The image above is a great example of an alternative to wedding albums. Printed 40" x 30" it looked amazing and it hangs proudly on the wall of the couples house. They chose 16 images from their day that tells the story of their wedding. 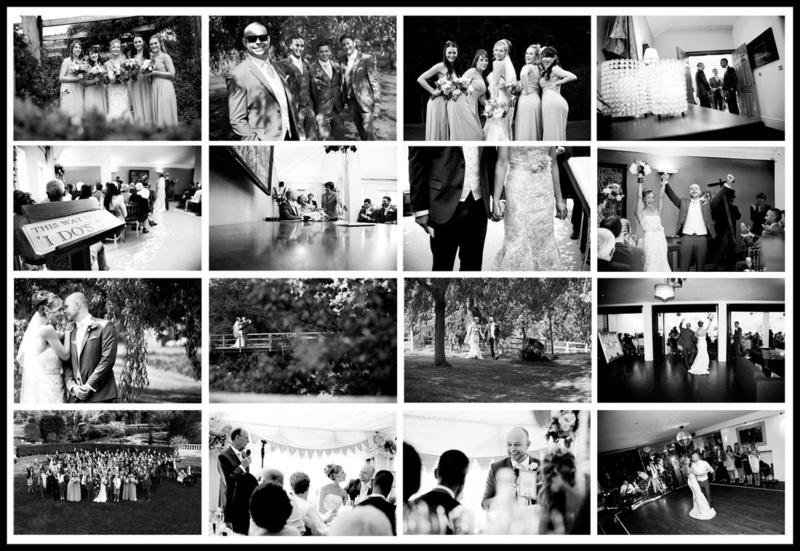 ​Below is the same series of photographs from the couples wedding photography frame so you can view them at a bigger size if you choose.